Nadia Islas Navarro - Centro de los Derechos del Migrante, Inc.
Nadia Islas Navarro studied communications and journalism at UNAM. Her work focused on the dissemination, management and organization of activities in the cultural and journalistic fields, linking issues such as gender, digital media, human rights, prevention of violence against women, sexual and reproductive, cultural policies, food security with a gender perspective, cultural journalism and literature. 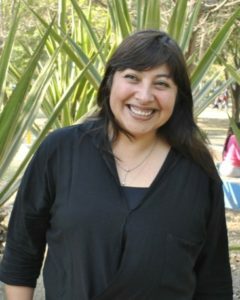 Nadia has worked at NGOs, including Modemmujer, Red de Comunicación Electrónica, and Food and Agriculture Organization of the United Nations (UN-FAO); and she has been a collaborator for the newspapers Excélsior, La Jornada and Milenio. Nadia has collaborated with publishers such as Editorial Resistencia, Pluralia and La Caja de Cerillos in Mexico City. She was a volunteer at CDM in 2010 in Zacatecas.